MNA Exclusive Desk: The Myanmar government has begun to work on taking back those who crossed the border into Bangladesh from Rakhine state, says the country’s de-facto leader Aung San Suu Kyi. The Myanmar state counsellor and leader of the ruling party made the statement during a meeting with Bangladesh Home Minister Asaduzzaman Khan in the capital city of Naypyidaw on Wednesday. A ten-member delegation led by Khan attended the hour-long discussion with Suu Kyi, said the office of Home Ministry. Suu Kyi said her government is working on the repatriation of Rohingyas to Myanmar. She also spoke of adopting the recommendations of the Kofi Annan commission, reported news agency. Over 600,000 Rohingya Muslims have fled Myanmar since Aug. 25, when Rohingya insurgent attacks sparked a ferocious military response by the Myanmar army that the United Nations has called ethnic cleansing. The two sides have also agreed to ‘to halt the outflow of Myanmar residents to Bangladesh,’ and ‘to form a joint working group,’ Tin Myint, permanent secretary from Myanmar’s home affairs ministry told reporters after the meetings. 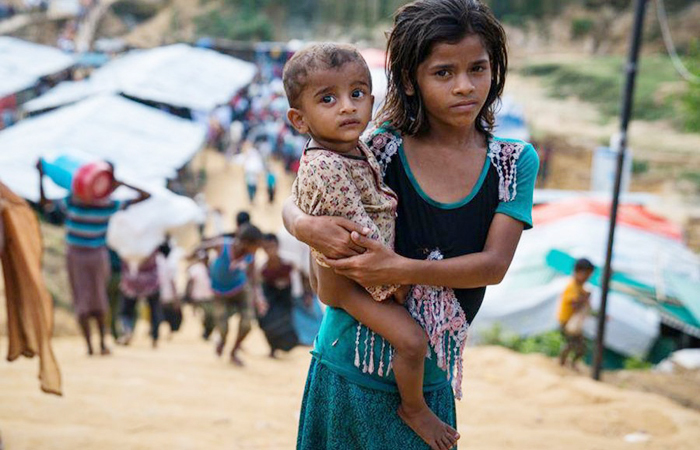 ‘After joint working group, the verification, (the) two countries have agreed to arrange different steps so that these people can return to their homeland safely and honourably and in secure conditions,’ said Mostafa Kamal Uddin, secretary from Bangladeshi home affairs ministry.